In this third installment of the We’re Here Series, we examine the best websites for all your Black Science Fiction and Fantasy needs. While there are others, these are the sites considered to be at the cutting edge of Black Speculative Fiction. We’re here, y’all. In a BIG way. Here you will find discussions, photographs, fiction and articles on Steamfunk, Rococoa, great Black Authors, Black fandom, the craft of writing and Sword & Soul. Black Sci-Fi.com is the premier site for the latest updates on Sci-Fi, Sci-Fact and Fantasy entertainment, news, people, places, and events and the measure of their impact on the African-American community. We seek to inform and inspire the imagination of individuals who aspire to live beyond the boundaries of everyday life. The AfroFuturist Affair is a community formed to celebrate, strengthen, and promote Afrofuturistic and Black Scifi culture through creative events and creative writing. The Tumblr page is a collection of the best writing, event announcements, art and videos in one place. This blog is a dialogue between the past, present and future, placed in an afrofuturist and afrosurrealist context. It explores African diasporic cultures that are often not given as much mainstream attention and re-examines popular cultures of the Black Diaspora through the afrofuturist and afrosurrealist perspectives. Key purposes of the blog are Media Literacy; Art, Media and Cultural Criticism/Analysis; and promotion of Afrofuturism and Afrosurrealism. World of Black heroes is a website dedicated to following the portrayal of Black heroes. This blog brings features Black characters in comic books, movies, books and on TV and the creators who bring them to us. Black Superhero comic Reviews, Black Superhero News, Black Superhero Previews, and character Bios for mainstream and independent comics alike can be found here. The premier Facebook group where creators and fans of Black Science Fiction, Fantasy and Horror meet. Join the group and participate in their Black Science Fiction activities and discussions; their State of Black Sci Fi presentations and performances throughout the year; their contests and giveaways; and meet some Blacknificent people too. This is the group that spearheaded the founding of Black Speculative Fiction Month, which is celebrated worldwide every October. This website is dedicated to the promotion of Science Fiction and Fantasy books for Teens and Young Adults of Color. There are many great books, graphic novels and comic books to choose from. To simplify your search, Ruth de Jauregui has sorted the main characters of each book into ethnic / racial categories – such as Black, Asian and Native American – and then by author within those categories. 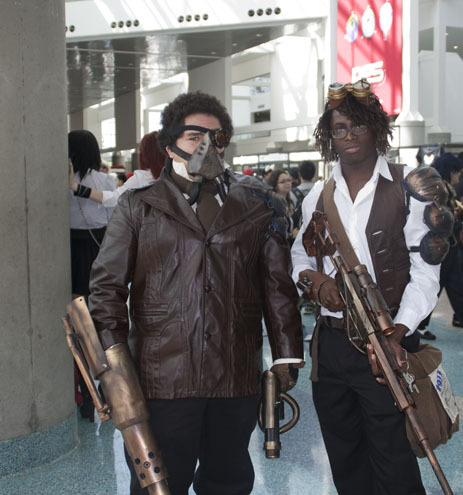 A Tumblr site dedicated to dispelling any belief that race matters when it comes to the hobby of cosplay by featuring hundreds of photos of Black cosplayers. As we continue the We’re Here Series, which introduces people to creators and creations within Black Science Fiction, Fantasy and Horror film, fiction, fashion, artwork and social media, your feedback is always welcome and encouraged. 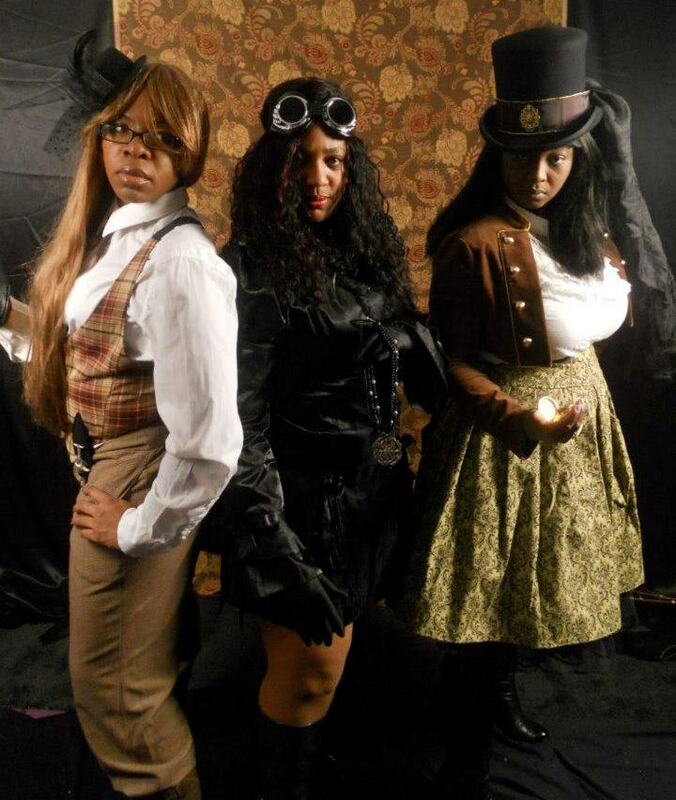 Posted by Balogun on July 9, 2013 in Afrofuturism, Dieselpunk, Fantasy, Horror, Science Fiction, Speculative Fiction, Steamfunk, Steampunk, Urban Fantasy and tagged black science fiction, black speculative fiction, steamfunk. Sweet. Thanks for the posts and doing the heavy lifting. I admire your brilliance and appreciate your friendship and guidance. At yesterday’s meeting, I felt such pride as i recognized the genius I am surrounded by in life and in the making of Rite of Passage. Thanks for posting this. 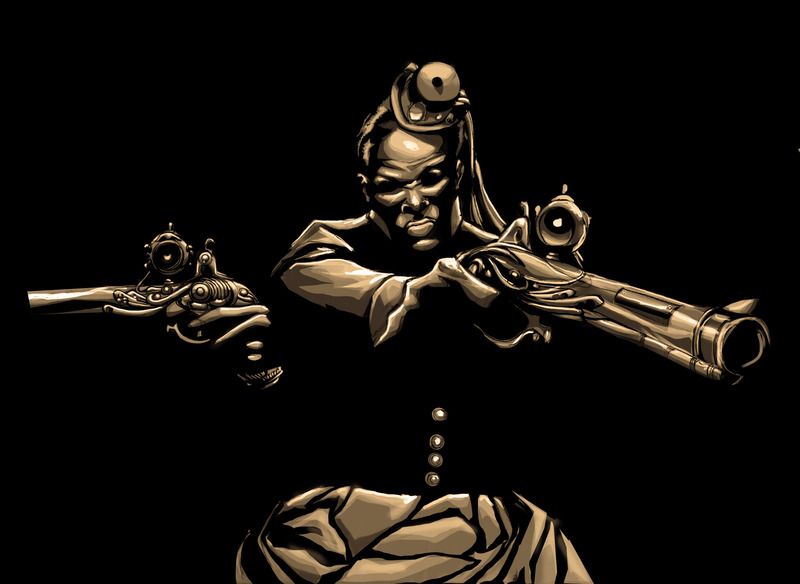 I’ve been looking for more websites that focus on Black Speculative Fiction. Thanks for sharing. Always on the look out for good sci-fi, of any extraction. Reblogged this on The Ana'Gia Wright Way.